Systems Engineering in Design and Project Management. At ATC, we firmly believe in systems engineering way of thinking towards addressing problems. If you would like to use this approach towards your product development and/or simply desire to infuse "systems thinking" into your organization, we know how to do it. Systems engineering is particularly employed in complex and large-scale projects and has shown to highly increase likelihood of success and minimize risks. We have trained corporate employees in systems engineering and taught them to think in this way. We can do that for your employees too. We offer Comprehensive Reports and Presentations on a number of highly technical subjects and advanced technologies, contributing towards your R&D efforts. We have the knowledge, experience, and expertise to phase in at any stage of your research or product development efforts, taken from idea generation, literature/patent search, to feasibility, to research, to design/testing, to verification/validation, to prototyping, to commercialization and to product launch. For example, almost all of our professional training seminars were initially solicited by companies that needed such information to raise the knowledge level of their employees. There are other trainings/seminars that have remained as proprietary properties of the corporations we worked with, and as such, cannot yet be offered to the public. 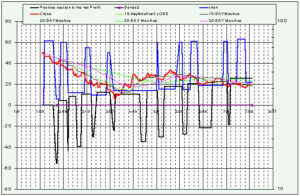 As an another example, a client of ours desired to enter into a line of product in Gasoline Direct Injection (GDI) technology and wanted to know more about the technology itself and its roadmap, to have technical informa tion on the line of product, and to know whether this was a good timing or that it made a good business sense. We at ATC formed a multidisciplinary team from our network of experts and offered a comprehensive information to address this client's immediate needs. The company decided to proceed with the product and in the process ATC also contributed towards the new product development effort, in terms of streamlining the process as well as providing highly technical and engineering information during the design process. Click on the word FRP on the image below to see a sample presentation of our work prepared for one of our clients. For a sample of our reports click on the following title: "Technologies in Energy Storage for Electricity (ESE) (Smart Grid Applications." New Product Evaluation on its Criticality Within the Technology Sector. If you are thinking to create a new product, or if you are an investor or a Venture Capitalist (VC), one of the things you must consider before heavily investing is to understand how critical this new product is (or will be) in the technology within which the new product of interest resides. This is especially important if you are operating within a rapidly and newly evolving technology. 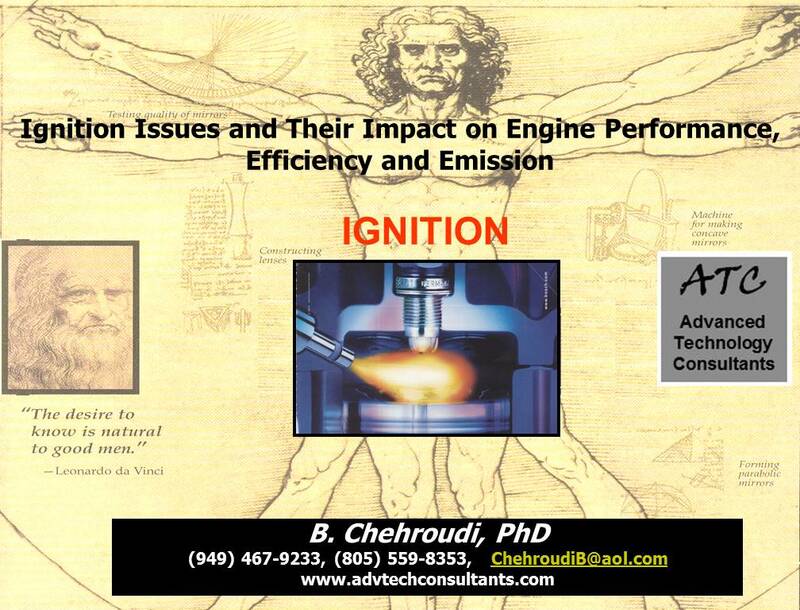 For example, if you are thinking of a new additive for the fuel to be used in automotive industry, then the criticality of this additive to the combustion and emission technologies employed in the automotive sector must be thoroughly evaluated early before full commitment is made towards research and development. At ATC, we have an increasing number of experts in our network that can offer their services so that your decision making process is more informed and intelligent, thereby minimizing losses and risks. Management of Innovation in R&D Environment. Innovation is in the core of the survival of the fittest organization in today’s technology-driven global economy. Innovation process begins with identification of the market needs or technology opportunity and then goes through stages such as adopting or adapting existing technology that satisfies the identified need or opportunity, inventing when needed, and finally transferring this technology by commercialization or other instrumental means. Considering the key role R&D plays in the economic health of a nation and the world as a whole, the profitability of a business, the effectiveness of a technology-based governmental agencies, and the enormous investment nations make in R&D activities, effective and efficient R&D management to bring about innovations can have profound and determining consequences. In this seminar, issues related to an innovation-driven economy and its management are discussed in the context of research and development. For a sample presentation click on Management of Innovation in R&D. Comprehensive Evaluation of Corporate R&D for Effectiveness and Competitiveness. If you think your R&D division is not effective or efficient in terms of the ROI (stemming from the R&D activities), we can offer our services to, first and foremost, diagnose the problem areas and, second, to formulate a course of action, and finally assist you in its implementation. Our proprietary diagnostic questionnaire to your employees can pinpoint trouble areas so that the remedial solutions and corrective actions are highly targeted to improve the identified weak points, while keeping the exiting strengths and competitive advantage attributes intact. For example, a client of ours suspected that it had a motivation problem in its R&D department. ATC was then consulted and after a couple of initial meetings with the VPs and C-level executives, they agreed to utilize our diagnostic questionnaire. The outcome has not only verified executives' initial hunch but also identified the specific processes, policies, managerial, leadership, and behavioral components that contributed to the lowered motivational energy within the R&D department of this company. Technology Roadmapping (TRM). At ATC, we can either work with you, as a member of your team, or do it entirely at ATC to prepare a detailed roadmap of the technology within which your firm operates. This is an integrated and important component of any product development, technology assessment, R&D and corporate strategic planning, and technology transfer effort. 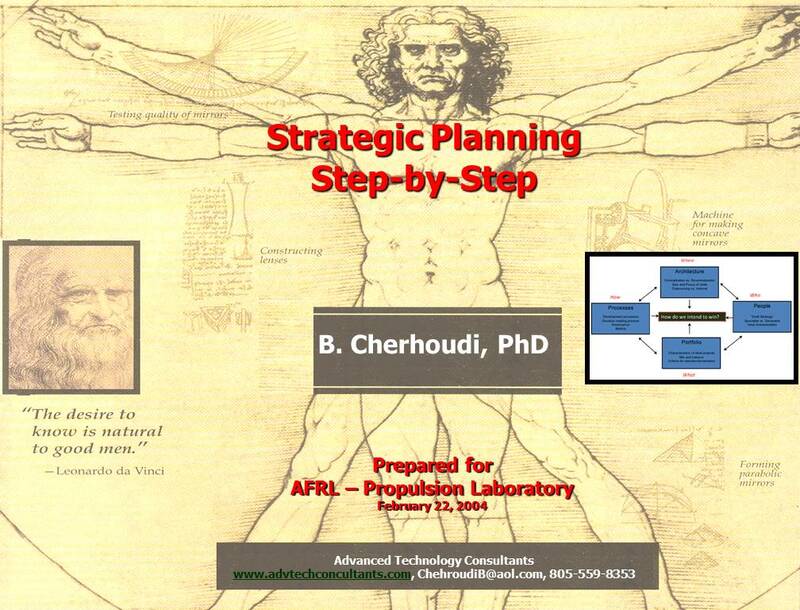 Integrated R&D and Corporate Strategic Planning. It is highly recommended that companies along with its R&D department go through strategic planning exercises once every two years or so, depending on the size and evolutionary stages of the company. At ATC we engage in both R&D and corporate strategic plannings. We have our own methodical approach to ensure that not only a relevant and effective strategy is crafted, but also implemented smoothly so that employees act as well as "think" strategically. We can specifically assist formulation of your R&D strategy and ensure that it is aligned with your corporate strategy. Feasibility and Economic Analysis. Extensive research has shown the importance of feasibility and economic analyses in innovation process and new product development. ATC has assisted others to perform intelligent feasibility and early economic analyses to increase the likelihood of both technical and market successes. We have seen an increasing number of downstream failures with large financial losses that have been traced back to a poor feasibility and/or economic analysis. In-house Professional Trainings/Seminars on an increasing number of topics. Although a partial list of seminar topics is given below, we continuously develop new training seminars to serve our clients' needs. In fact,almost every one of our professional education/training seminars was originally prepared for one of our clients. With their permissions, these seminars/trainings were later made available to public. Contact ATC for a more economical seminar pricing to be conducted at your company (i.e., in-house) by our consultants. For a comprehensive list of topics, please click on the "Service Areas." Click here to look at a Partial List of Seminars and Combined Seminar/Consulting events. 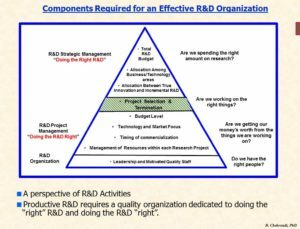 Management of Innovation in R&D Environment (also see a sample of invited talk at the Society of Petroleum Engineers titled "Management of Innovation in R&D" ). For more on benefits and intelligent use of outside talents, skills, and ideas, click on "Current Trends in Innovation by Expanding Beyond Organization's Boundaries ". Electronic (PDF) and hard copies of the professional education/training seminar materials. This can only be purchased through ATC. Most of our clients, or those individuals who attende d such seminars, have decided to purchase electronic (PDF) versions of the presentations for transportation convenience, speedy access anywhere in the globe, and compatibility with digital world. Please keep in mind that individual copies are for individual use and have certain copyright restrictions. However, corporate copies are available with minimal restrictions limited to the employees of the specific corporation. Contact ATC for pricing and additional related information. cost. Please contact ATC for more details and pricing. To view a short sample of the "audio-video Powerpoint-type presentation" click on the word "IGNITION" in the image located to the right to get a feel of how course information is transferred (the copy sold is of high resolution with high quality sound). 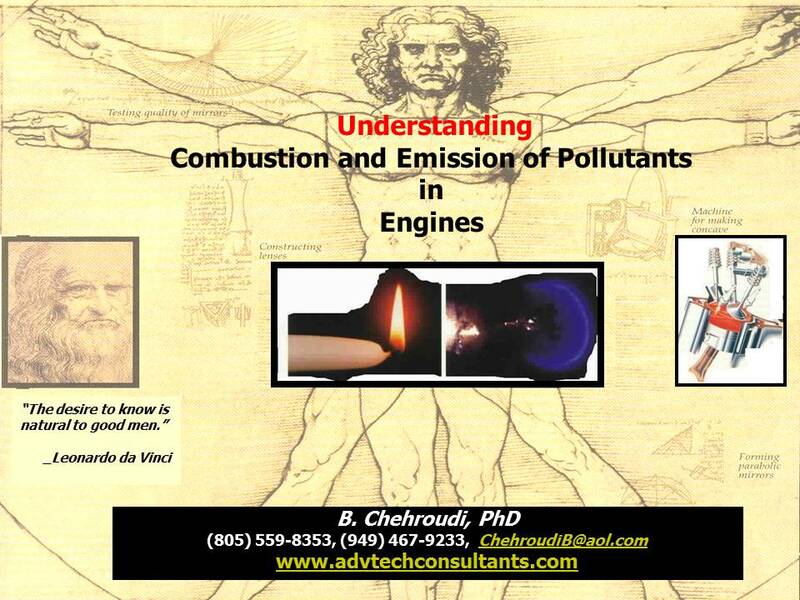 High-speed internet access is recommended.To view another short sample of the "audio-video Powerpoint-type presentation" on "Understanding Combustion and mission of Pollutants for Engineers" go to the following link at Youtube: https://www.youtube.com/watch?v=lNkyzOET2Q4 . High-speed internet access is recommended. Technical and Fundamental Analysis of Financial Market. At ATC we have developed expertise to analyze financial markets for investment and intelligent future forecasting purposes. A proprietary mathematical approach has been developed during the past 15 years to successfully analyze market dynamics, specifically for the equity mar ket. Please contact ATC for demonstration, testing, and purchasing. Customer Relationship Management (CRM). ATC assists firms during the entire "software adoption" process (a subset of the Technology Transfer) to successfully implement and integrate the CRM within the organization. For more information on our implementation and integration approach click on CRM. Expert Witness in Legal Matters. ATC consultants have provided reports and appeared in court as expert witness in legal matters pertaining to a number of technical areas. This provided a tremendous assistance to attorneys in understanding the main issues (from a technical perspective) and in terms of carving a defense strategy and tactics to maximize their success likelihood in defending their clients. The range of ATC activities spans from a mere patent and technical analysis (providing an easily-understandable synopsis) to appearance in the depositions and courtrooms. Please contact ATC for more information. For a list of cases in which ATC offered assistances, please click on "Sample Cases".